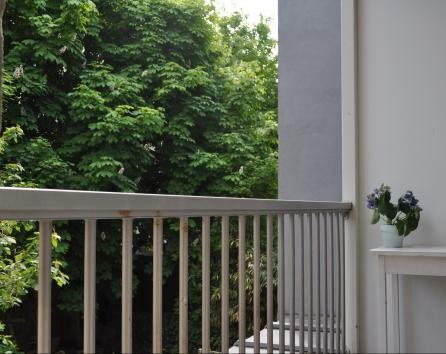 Luxury 1 bedroom apartment situated 10 minutes walking distance to the city Centre, the Leidseplein and the Jordaan, and 5 minutes walking distance to the famous Vondelpark. PLEASE NOTE that the apartment downstairs on the ground floor is being renovated from 1 May until 15 August so there will be noise from 7.30 to 17:00 approximately. 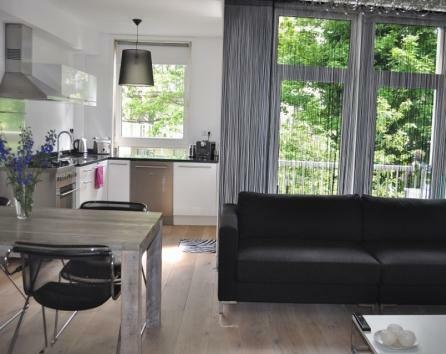 10 minutes walking distance to the city centre, (Jordaan), the Leidseplein (this is where a lot of bars, restaurants, theaters and nightclubs are located.) . 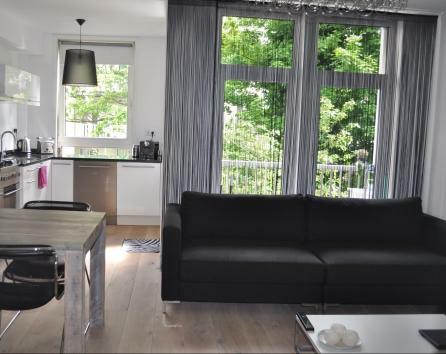 The famous Vondelpark is located 5 minutes walking distance. 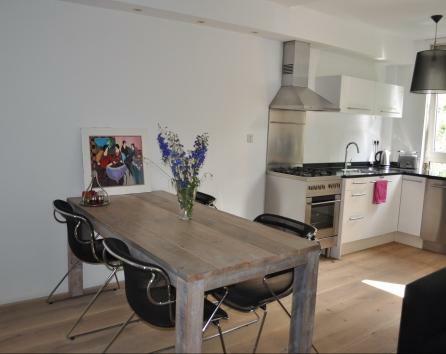 Coffee shops, Coffee company, bakery, supermarket, cosy restaurants and cafes just around the corner. 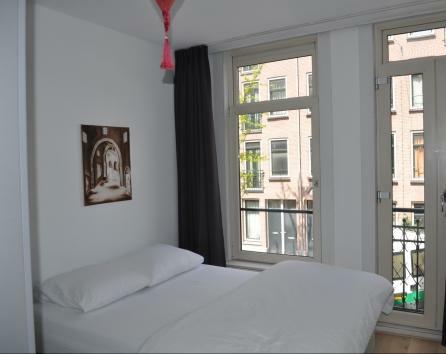 Van Gogh museum, Rijksmuseum, Stedelijk museum, Royal Concert hall and Anne Frank house are situated 5 minutes by tram. The Dam, Red Light District situated 10 minutes by tram. There is a very good public transport, tram 17 and 7. Amsterdam Schiphol airport is situated 20 minutes by car. By train 15 minutes, Train station 5 minutes by tram. 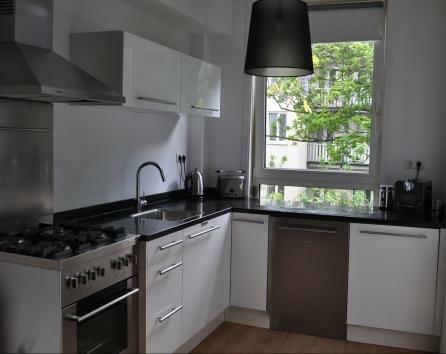 Luxury kitchen, with dishwasher, oven, microwave, cooker, fridge, coffeemaker (Nespresso) etc. 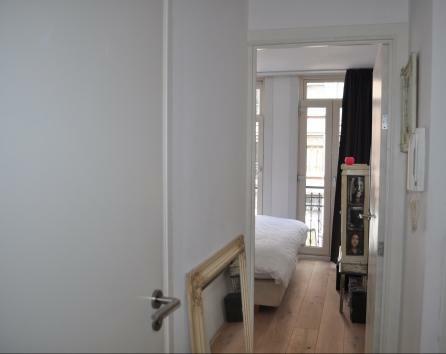 Bedroom with a comfortable double box spring bed, wardrobe and access to the French balcony. 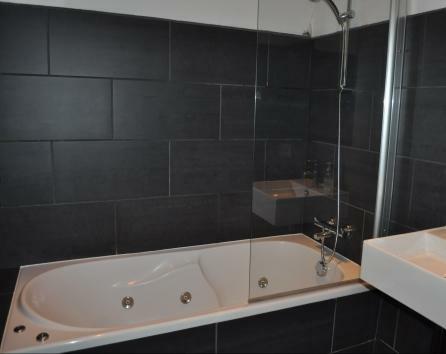 Luxurious bathroom with a bath and a sink. Toilet equipped with a sink. minimum stay of 3 nights. You may smoke a cigarette on the balcony but cannabis is not allowed. There is a Coffeeshop 1-minute walk away. 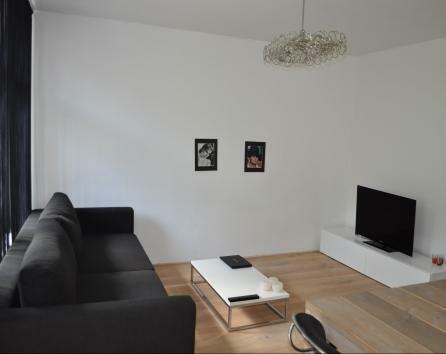 You must deposit a passport with the owner or pay a refundable deposit of 250 euro The apartment is not suitable for children.